Let me tell you about this amazing site called Choon.co, big FAQ at the end. 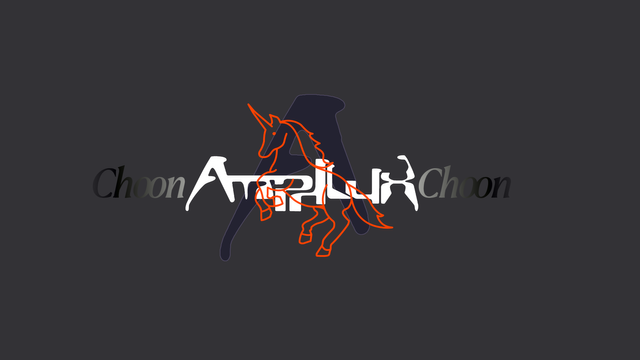 There's just so much to say about Choon.co. Where to begin. 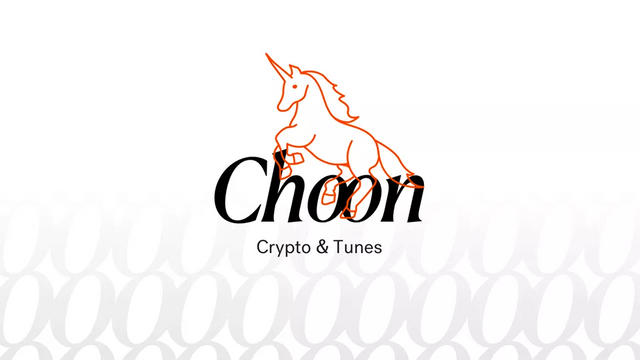 #Choon is a crypto-based music streaming platform. There are a few of these floating out there currently, but choon has really captured my attention. With their sleek interface, attention to detail, whitepaper and the way they distribute #cryptocurrency to musicians, choon is proving to be one of, if the top dogs for #cryptomusicians (musicians who have chosen to release their content within #blockchain and #cryptocurrency services). But here's the catch, you can earn crypto as a listener as well. That's the beauty of the system in a nutshell, among other more technical things. Along with paying musicians direct for the content they create (which is much loved, by the way) musicians can set a playlist ratio on each track. Listeners can add tracks they find and enjoy across the Choon ecosystem into their own playlists. Anytime anyone, not just the listener, listens to the curated playlist, the playlist creator earns the portion of the crypto based upon what the musician set it too. Anytime you (or anyone else) listens to that track on your playlist, you as the playlist curator earn a portion of the crypto based on the split percentage, in this case 50% of the cryptocurrency distributed to the track. This is not set by the site but by the artist. The idea is if a listener is kind enough to include a track in a playlist they curate, the artist is willing to contribute a certain portion of their earnings back to the curator. You can see how this is very much a win/win ecosystem for everyone involved. My latest release is a trance remix of an orchestral track titled "Cosmic" composed for an upcoming series of Virtual Reality games by game developer and publisher Spatial Quotient. This track has been released exclusive to Choon.co with a 50% split! The track is bass driven, electronica house/trance track remix of one of the themes for the upcoming game series. The first game to be released is an arcade action styled defense game titled 'Drone Defender, a Cosmic Saviors experience' which is currently heavily under development. Release date TBA. Project lead by content creator Comadore. FAQ1:Ok, what exactly is choon? It's crypto but what does that mean, and why should musicians and listeners care? The word choon isn't as well known in the States as it is known in Europe. For my American friends, Choon is another take on the word tune. (I have to admit I didn't know this at first). Choon seeks to cut the middleman and reward artists for their music using a more direct approach. As your music is played, the amount of playtime is tracked, and at the end of the day cryptocurrency called $NOTES are distributed to all artists and listeners site-wide based on play-times accumulated. Cryptocurrency is a new form of digital wealth transference that is built upon secured transaction ledgers. FAQ2: Why would an artist give away a percentage of their song's earnings? Keep in mind artists only give the playlist rewards while their music is playing on playlists. If you go to the artists official page and spin their music, they get 100% of the $NOTES earned. The artist is incentivizing the distribution of their music by rewarding anyone who promotes them via playlist activity. Remember: the artist has complete control over playlist split, and can change the percentage at any time. FAQ3: I am a music fan but I am also a big fan of crypto. I like the sound of earning crypto as a listener while also earning crypto for the musicians I like. What's the scoop on $NOTES? $Notes are an #ERC20 token that is built into the Ethereum ecosystem. Choon.co has announced in their whitepaper moving to #proofofstaking in August 2018, which is exciting news. 50% of the tokens have been set aside for the Choon 'streaming as mining' model, and the rest distributed through various methods. I would recommend reading into the whitepaper to see the direction it is taking. I would also recommend signing up and starting to earn $NOTES for yourself even as a listener! FAQ4: 'This smells like a scam! '© For real, where is the partiality? I'm pretty open about my overarching opinions on cryptocurrency. You could say I'm much more a fan of digital honest wealth distribution than I am of any specific platform. That being said, there are several other platforms which marry cryptocurrency and music, which I have written about in the past. If you are looking for critique of Choon.co, first they have 100 different Electronica genres, but they don't have "Country Music" even listed as a genre? I know it is European focused, but 'Country Music' over here in the States is pretty huge. I would say some crucial genres are missing from their roster. Secondly, their move from public to private tokensale has shaken some within the #cryptomusician community. I still strongly feel the platform is solid. FAQ5: How about a little bit of information about Amphlux. (Fact #1: I find it weird referencing myself in the 1st person like this.) Amphlux is AJ Whitehead in Kansas City, MO, United States. 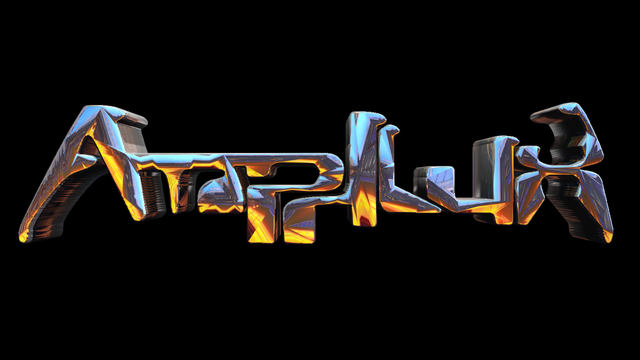 Amphlux is an amalgam of musical styles, with more of a focus towards Electronica genres. From early VGM influence to growing from humble heavy gothic industrial beginnings, Amphlux has developed a style that is hard to pinpoint, borrowing elements of Drum and Bass, Dubstep, Trance, House, Chiptune, Industrial, Tribal, Jazz, others. Amphlux also derives influences from live instrumentation, performing mainly on keyboards, bass guitar and EWI. There are a few new tracks posted on Choon as well such as this and this. Please, add to as many playlists as you like. FAQ6: Who else is on Choon.co? The artist and song roster is growing by the day. A few noteworthy acts would be GTR, Darude, Juxta, GJART, and of course my fellow Blocktronika #globalbeatscollective. Well if you made it all the way down here, what are you waiting for? Go start listening to some choons, making playlists, spreading those playlists to your friends and earn some $NOTES! We are loving Choon at AtomCollectorRecords.com too! So much so that we integrated it into the site as soon as it launched. What is AtomCollectorRecords.com? It's a way to get your tracks played by others! 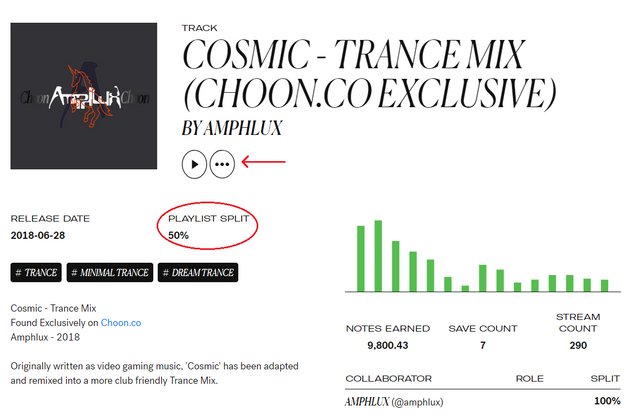 You add links to your Choon tracks and then listen to other people's tracks to earn "play credits" which you can then use to put your own tracks into rotation. We have also created a lot of playlists and with reference to the "50% to curators" mentioned by @Amphlux we have a playlist that only contains tracks that offer at least 50% to playlist curators. great post my friend. im on there as theinfamousit and am so excited about its future. i will def be checking your tunes/playlists out!!! great to see others on the lookout!